Amazon's mid-range Kindle gets easier to read with a 300-ppi display and some sweet new text tricks. The third-generation Paperwhite has a 300-ppi display, up from 221 ppi on the previous model from late 2013. This resolution boost puts the Paperwhite on par with Amazon's $US199 ($AU299) Kindle Voyage e-reader, but at a much lower starting price of $US119 ($AU179). The other big changes in the new Paperwhite appear to be software-based. There's a new font called Bookerly, which Amazon says it designed to reduce eyestrain. Amazon is also making improvements to hyphenation, spacing, and character placement, and it's adding support for drop caps (those extra-large nested letters that sometimes appear at the start of a chapter). The Paperwhite will also do a better job of adapting its margins, borders, and other elements when the user selects a larger font size. Why this matters: Amazon keeps chugging along in the e-reader game, even its former rivals have bowed out or stalled out. While the e-reader market isn't booming, clearly there's still demand for a reading device that tunes out the distractions of smartphones and tablets. The previous Paperwhite was already the best option for most people, and the new upgrades will likely keep it that way. Amazon's Kindle Voyage still has a couple of advantages over the Paperwhite: It's thinner and lighter, with a smoother glass display panel, and it can detect ambient light to adjust screen brightness automatically. It also includes pressure-sensitive buttons on its bezel for turning the page without moving your fingers. If you want to spend less, Amazon is still selling the basic Kindle for $US79 ($AU111). It's a bit lighter than the Paperwhite, but its touchscreen isn't as crisp at 167 ppi, and it doesn't have a backlight. There's no 3G option on the basic Kindle either, in case you want to download books without a Wi-Fi connection. 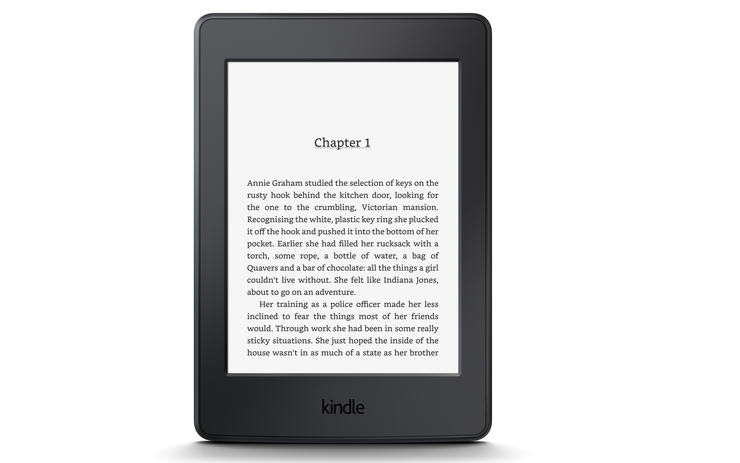 It's also unclear whether the Kindle Paperwhite's new font and text improvements will be coming to the Voyage, basic Kindle, or older Paperwhite models. We've reached out to Amazon for clarification. The new Paperwhite is available for pre-order now, with a June 30 release date. The $US119 ($AU179) price tag includes Amazon's Special Offers lock screen advertisements, which can be removed for an additional $20. Adding 3G connectivity raises the price by $70.